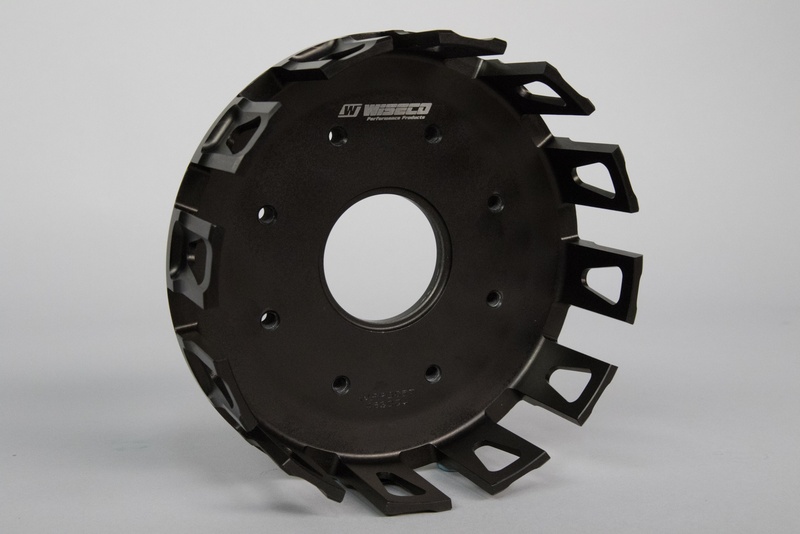 Wiseco products are not only made for racers, they're made by racers. 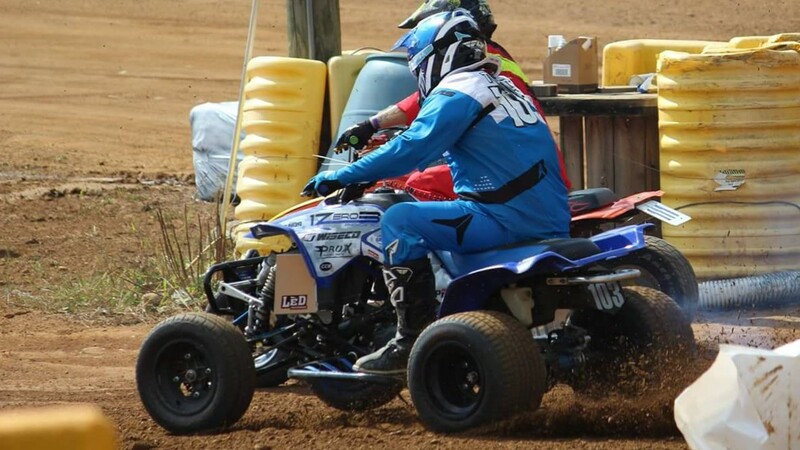 Steve Toutant is a member of the Wiseco Team with a passion for dirt track ATV racing. Recently, he built a one-of-a-kind 1988 TRX250R. Here, we'll take a dive into everything that went into this stroked, big-bore two-stroke beast. 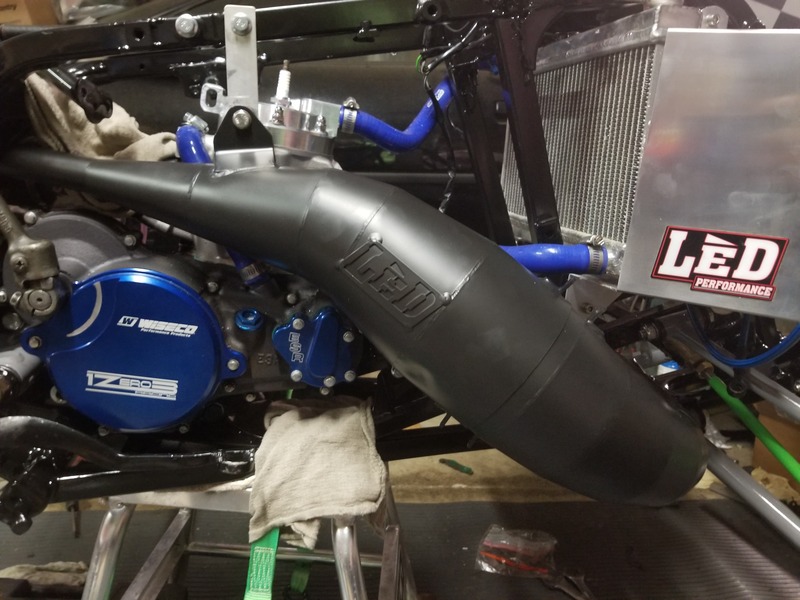 Wiseco was started by a family of racers and riders who not only wanted to build quality performance parts, but lived and breathed the lifestyle. After 76 years in operation, the amount of dedicated Wiseco team members that share a passion for powersports has only grown. Steve Toutant—15 year Wiseco veteran—is one of those people. While Steve has always had a passion for riding and racing ATVs, he unfortunately had to take a 17-year hiatus, simply because life happens, and sometimes it happens a lot. After claiming victory in a battle with cancer in 2015, Steve knew he needed to revisit his passion for ATV racing to feel at home again. After a quick word with his wife, he began the hunt for the machine he knew like the back of his hand. Only two days went by before Steve found a 1988 Honda TRX250R—not running, of course—for only $1,200. Within a matter of days, Steve got the TRX home, stripped it down to the frame, and sent it off for sand-blasting. Steve's TT TRX project started with a 1988 Honda TRX250R that didn't run. He picked it up for $1,200. Here, we’ll take a dive into the complete overhaul of this purpose-built TT TRX. The frame showed its aged with typical wear issues and stress from being around since 1988. Before having the frame powder coated, Steve had Bud Fisher of Fisher Racing work his magic to bring the frame back to like-new, structural condition. 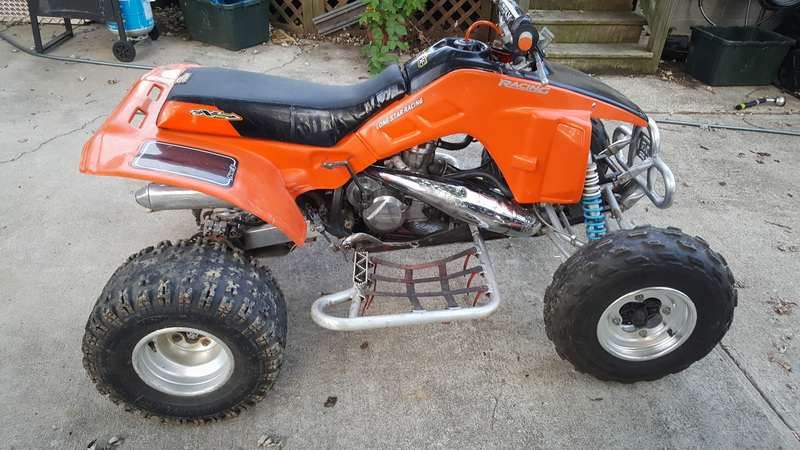 While that was being worked on, Steve began selling usable parts he took off the machine and stashing that money into his piggy bank marked “TT-TRX Fund.” In fact, the only parts he actually reused from the initial purchase were the frame, gas tank, nerf bars, and seat pan; that doesn’t leave a whole-lot of ATV left to work with. But, Steve had a vision of how he wanted his final product to look, and this is what it took. Steve raced the TRX for 2017 after his first rebuild, but gave it even more love for the 2018 season. Read on for all the build details. With the frame ready for assembly and many new parts showing up on the doorstep, the first task Steve tackled was handling. 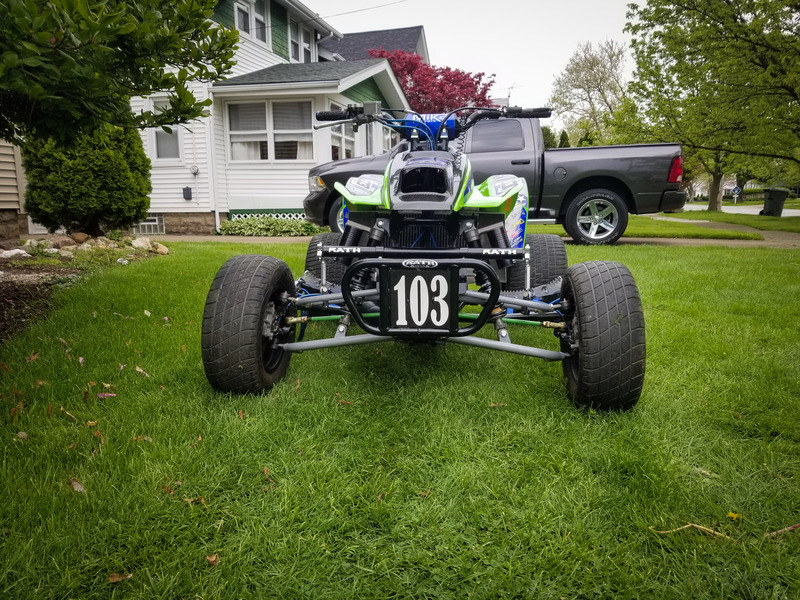 The front end of the TRX received a set of Burgard +2 +1 A-arms guided by custom-valved TCS shocks, which have been freshened up by Blommel Motorsports for 2018. 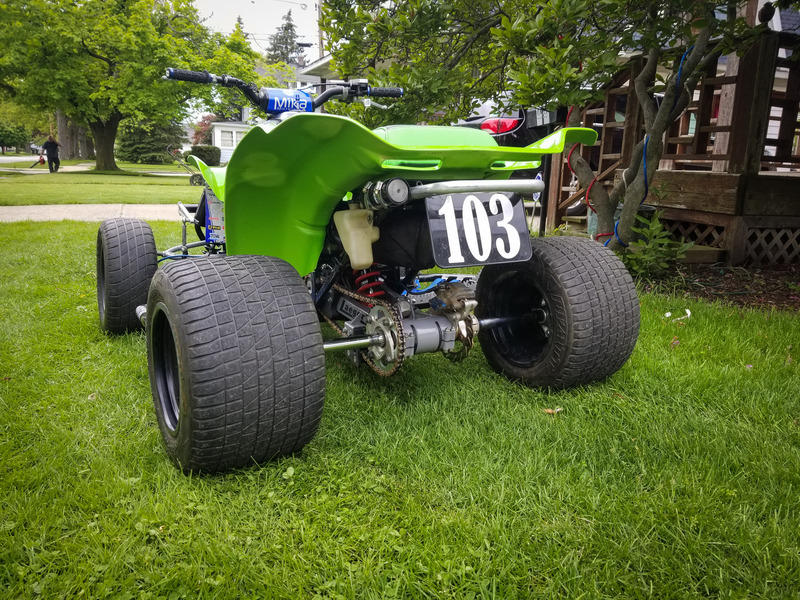 Following the A-arms, Steve initially used spindles, hubs and brakes off a 2005 TRX450R, but has now restored the spindles and brakes to freshened up 1988 TRX250R parts, and has added LSR Micro Lite hubs. Burgard A-arms and TCS shocks built by Blommel Motorsports take care of front end handling on this TRX. In the controls department, Steve decided to go with a Laeger stock-height steering stem, Mika Metals bar mounts, CR woods bend bars, and a fresh set of ODI grips. Moving to the rear suspension, Steve went with a -2 Laeger swingarm, a Durablue +2 / +2 axle, and a rebuilt TCS shock to complement the front. The rear brakes were upgraded to a PRP Antifade and 450R setup. To get her rolling, Steve bolted on a set of DWT A5 wheels wrapped in Maxxis Orange TT tires. The TRX sports a Laeger swingarm, a Durablue axle, TCS shock, and DWT wheels wrapped in Maxxis Orange TT tires. When it comes to the power plant, the engine that came in the TRX was a ported 250 that was “blown to bits,” according to Steve. When you’re doing a frame-up rebuild, you might as well do it right, so the former 250R originally got plans to be fitted with a 363cc setup, which is what Steve ran for the 2017 season. The ported 363 came from BHP, and utilized a new, welded +4 stroker crank. The new crank played host to a Wiseco forged piston with custom-coated rings, tasked with the job of sealing compression for the big-bore, stroker two-stroke. This build setup treated Steve well during the 2017 race season. However, when the 2018 season was approaching, he felt he needed to step it up even more. 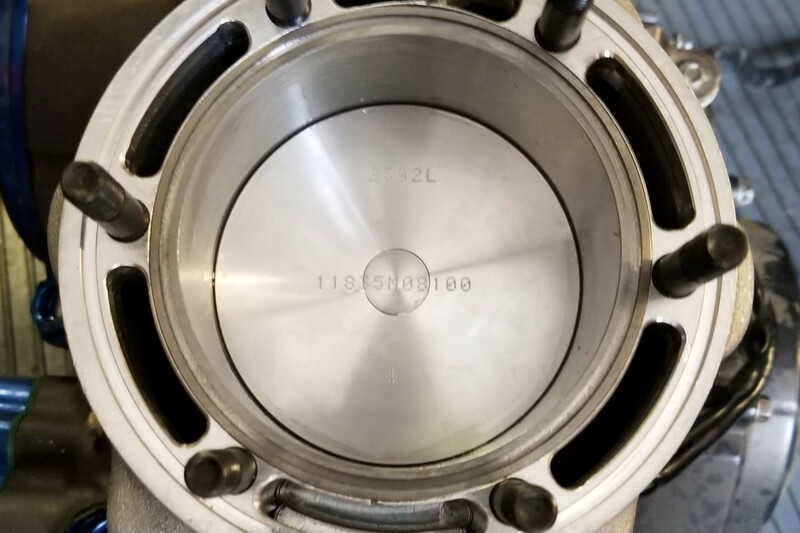 The initial rebuild included a +4 stroker crank and a ported 363 cylinder, fitted with a Wiseco piston and custom-coated rings. 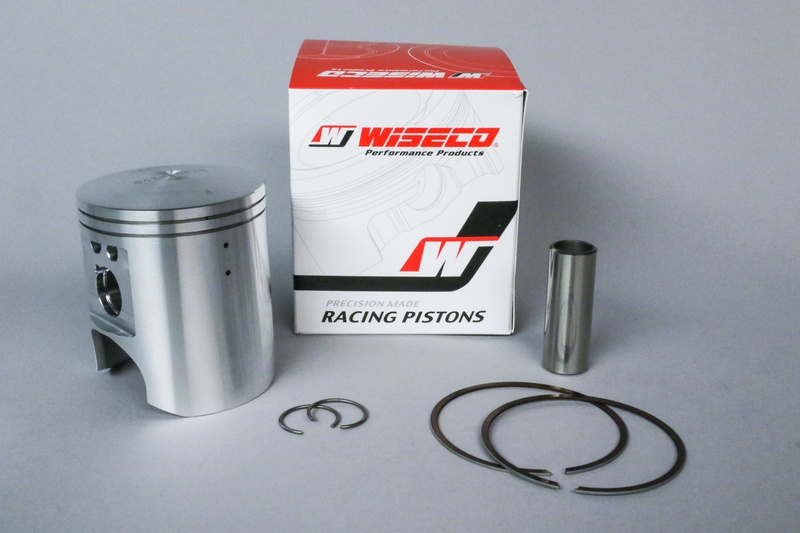 The Wiseco two-stroke piston is this 390cc setup is a stout 81mm. The TRX got updated with even more displacement for 2018, bumping to a 390cc two-stroke monster that exhales through an LED Performance 350G pipe and silencer. 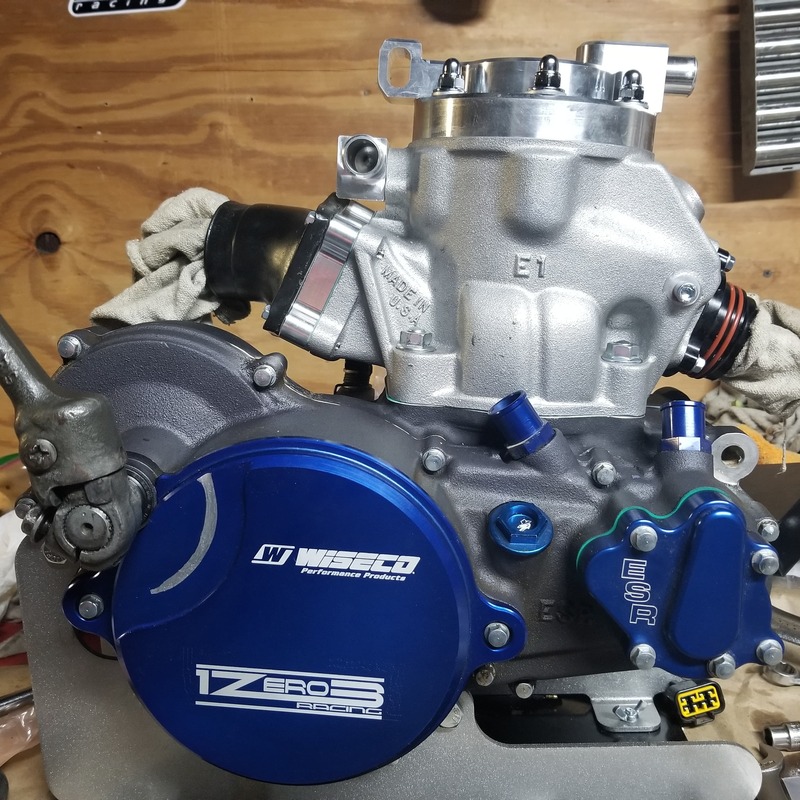 To get that power to the wheels, Steve went with an LED billet transmission complemented by a Wiseco forged clutch basket, Wiseco fibers, and OEM steel plates, all housed in ESR cases. He even added a quick-change clutch cover for ease of maintenance at the races. 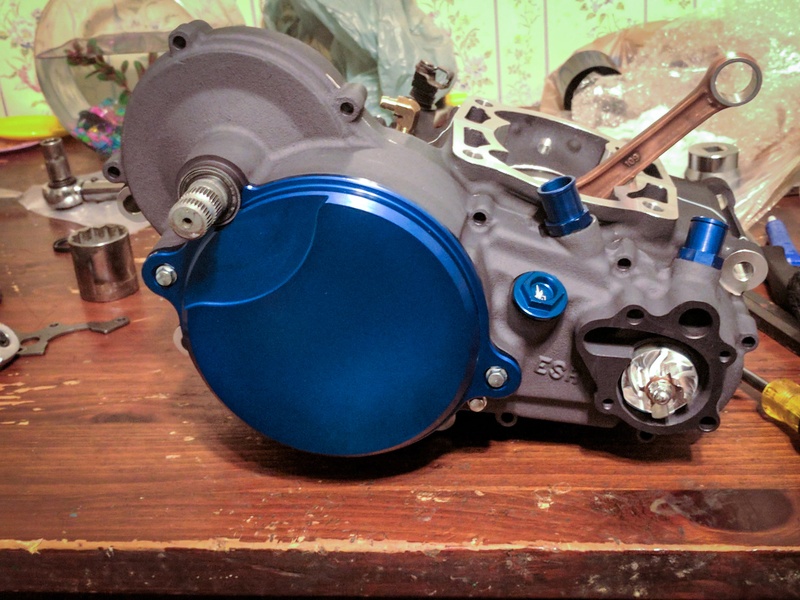 A Wiseco forged clutch basket and forged piston were used in both the 363cc and 390cc builds of Steve's motor. Find Wiseco components for your machine here. The engine wasn’t the only area that got some additional attention for 2018. Daryl Rath of Rath Racing built a set of Monster Peg nerf bars, a front bumper, and a sway bar for the TT. The TT TRX got some love from Rath Racing by way of a front bumper, sway bar, and Monster Peg nerf bars. 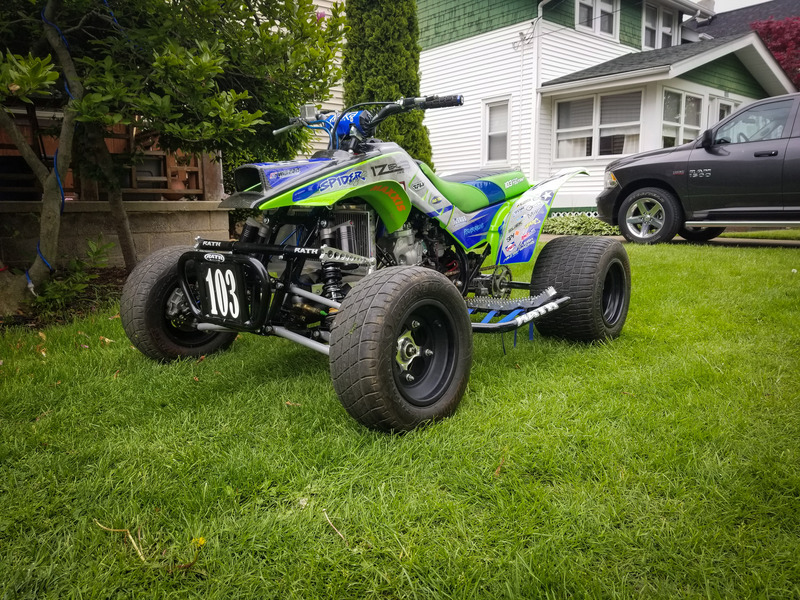 The TRX also received a custom seat cover from Fourwerx to complement the new look with the green Maier plastic, which were fitted with new graphics done by Spider Graphix. Green Maier plastic and decals by Spider Graphix give this TRX a unique and awesome look. Steve turned to ProX Racing Parts for all-new, OEM-quality brake pads, cables, and a chain for 2018. 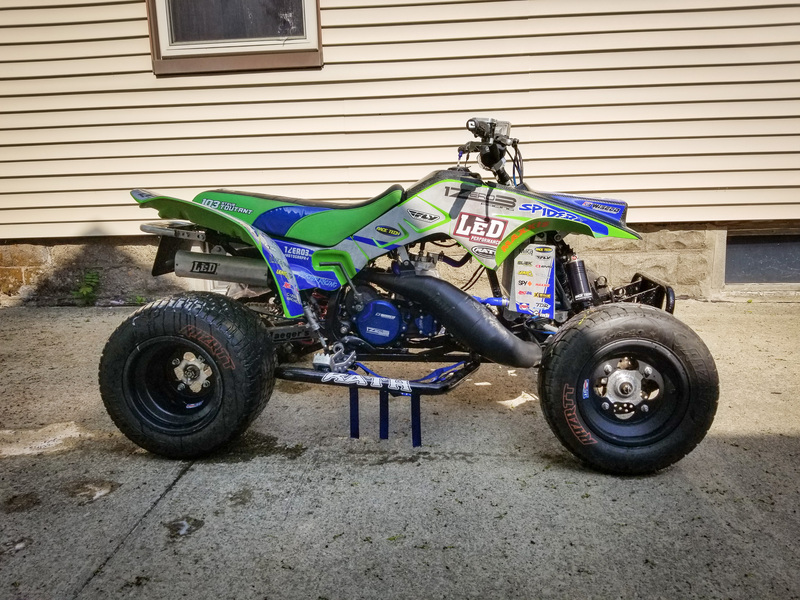 Steve currently races the quad in the New East Extreme Dirt Track series, and is very involved in supporting other Wiseco riders while he’s there. Wiseco is proud to have Steve as part of the team and part of the Wiseco family. Find out more about the NEEDT race series here.